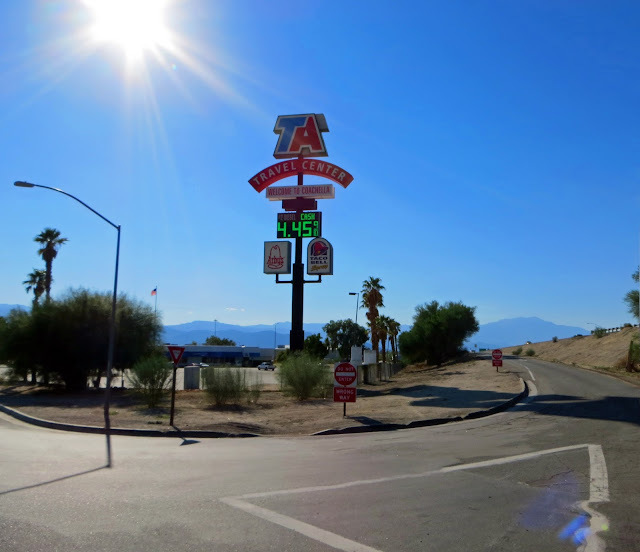 The Travel Centers of America in Coachella, California. Yep. Just minutes from the very area they hold the famous Coachella Valley Music and Arts Festival in. A festival like this is not something I'd EVER be interested in attending, but if this is your cup of tea, and you're a trucker, this might just be the place for you to stash your rig before you head out to mingle with celebrities, trust fund babies, and some very drunk, very high people.